Silas is an experienced energy lawyer with expertise in upstream matters relating to Production Sharing Contracts, Joint Operating Agreements, EPC contract management, project finance, general corporate and commercial law, Farm-In and Farm-Out Agreements, Drilling Services Agreements, Shareholders Agreements as well as Corporate Governance issues. 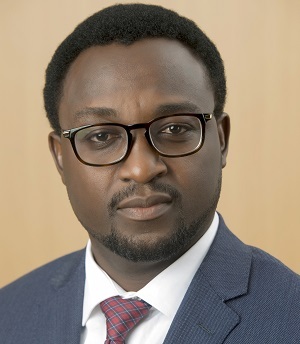 Prior to joining SAPETRO, he worked on major transactions and projects while working with Aluko & Oyebode and SAIPEM. Silas holds a Master of Laws (LLM) degree in Petroleum Law and Policy from the Centre for Energy, Petroleum and Mineral Law and Policy (CEPMLP), University of Dundee and a Bachelor of Laws (LLB) degree from Ahmadu Bello University. He is a member of the Nigerian Bar Association and the International Bar Association. As General Manager Legal Services, he is responsible for ensuring that SAPETRO’s legal interests are protected and that operations and business transactions are compliant with relevant statutory provisions. 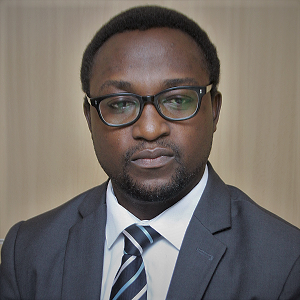 He is also responsible for managing SAPETRO’s Enterprise Risk & Compliance Management, Contract & Procurement and Corporate Affairs activities.